Four years after it last aired, British code-breaking drama The Bletchley Circle has been resurrected and transferred to the US. 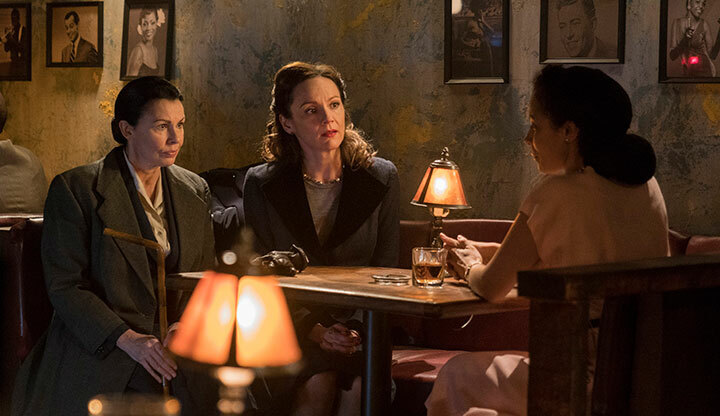 DQ hears from showrunner Michael MacLennan and production designer Joanna Dunn about creating The Bletchley Circle: San Francisco. When The Bletchley Circle came to an end after just two seasons – totalling seven episodes – in 2014, many viewers bemoaned what they saw as the premature demise of a popular drama. Ultimately, however, it wasn’t popular enough for UK broadcaster ITV to stick with the 1950s-set code-breaking crime series for a third run and the case was closed. But in today’s television landscape, cancelled doesn’t always mean cancelled, and SVoD platforms have now built a – perhaps unwanted – reputation for reviving series that have met their end elsewhere. Amazon’s order of a fourth season of Syfy space drama The Expanse and Netflix’s commitment to a fourth run of former Fox series Lucifer are just two recent examples. 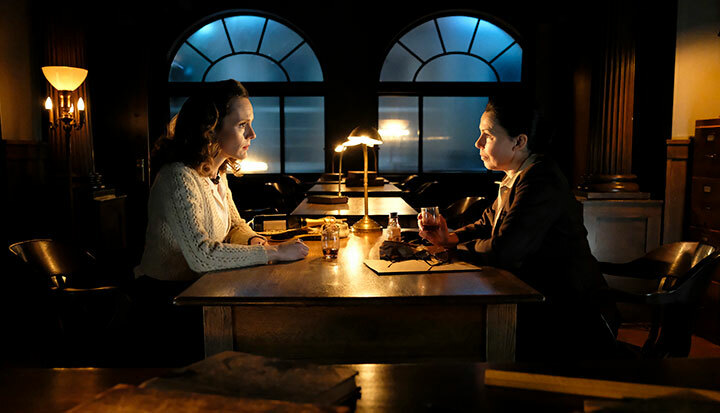 The return of The Bletchley Circle differs, however, in the fact that this isn’t just a continuation with all the same characters and the same setting for a new season. 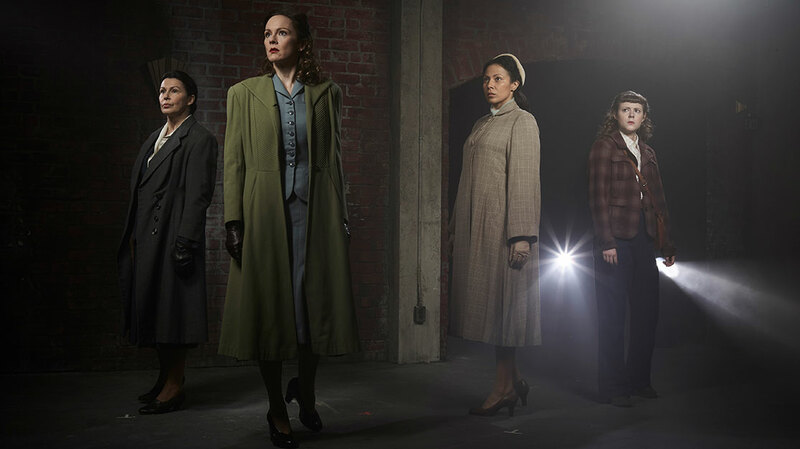 Instead, ITV has partnered with US streaming service Britbox (which is backed by ITV and BBC Studios) for The Bletchley Circle: San Francisco, which transplants two of the original characters to the Pacific coast where they team up with new faces to investigate more crimes stateside. 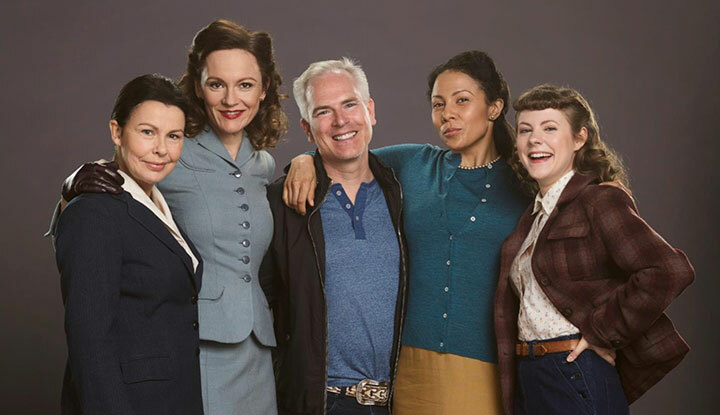 Set in 1956, three years after the end of The Bletchley Circle on ITV, the show sees Jean (Julie Graham) and Millie (Rachael Stirling) leave London for San Francisco to investigate the murder of a close friend. There they are joined by North American code-breakers Iris and Hailey who, like their British counterparts, find themselves undervalued and overlooked despite their indispensable contributions to the war effort. With renewed purpose, the code-breaking team will stay in San Fran and continue to solve mysteries together in the Bay Area. Iris, played by Crystal Balint, is described as a brilliant mathematician and jazz musician, while Hailey (Chanelle Peloso) is a streetwise engineer with a secret. The new cast also includes Jennifer Spence as fellow code-breaker Olivia and Ben Cotton as roguish homicide detective Bill Bryce. Directors on the series include Gary Harvey (Murdoch Mysteries), Mike Rohl (Reign), Alexandra La Roche (The Flash) and David Frazee (Orphan Black), while the executive producers are creator Guy Burt, Jake Lushington, Brian Hamilton and Canadian showrunner Michael MacLennan (Queer as Folk, Bomb Girls). The series is produced by Omnifilm Entertainment in association with World Productions, which made the original series, with Kew Media distributing. The show is set at the dawn of the civil rights movement in the US, with San Francisco epitomising the country’s tremendous change – from gentrification to the transformation in racial politics – making the city the perfect setting for the series. Discussing his approach to writing the season (which tells four stories over eight episodes), MacLennan says that if he knows the ending at the beginning of writing the story, so too will the audience. “So we’ve always left room in the writing to be surprised by the discoveries ourselves as we’re cobbling together these stories,” he explains. “What’s unique about the way we’re telling our mysteries is that they’re told over two hours, so that gives us a little more time to have more layers of complexity to the mystery, and also to allow for more of those character moments for both the guest stars and our series regulars. As well as the city backdrop and its numerous diverse neighbourhoods, music plays an important part in setting the mood and tone for the series, via both jazz and the emerging genre of of rock ‘n’ roll. Guy Garvey, the lead singer of British band Elbow, notably makes an appearance on stage. With filming taking place in Vancouver, the Canadian city that has regularly doubled for San Francisco on screen, production designer Joanna Dunn was tasked with finding a way to blend 1950s America with some of the British style of the original series. “1956 is kind of the cusp, a little before what we think of as the 50s iconically,” she says. “It’s not sock hops and poodle skirts; you want to keep a bit of a foot in what Bletchley was in the UK, so it’s more pencil skirts, more streamlined, a bit more architectural. Fifties colours are amazing, but you have to be careful because a lot of them are not good on people’s skin tones, so you are restricted to more blues, yellows and greens for the palette and tone.